SEADREAM Yacht Club has responded to growing interest by regular guests to see more of Spain in 2018, with a program of ten captivating sailings to mainland ports and off-shore islands between next May and October. 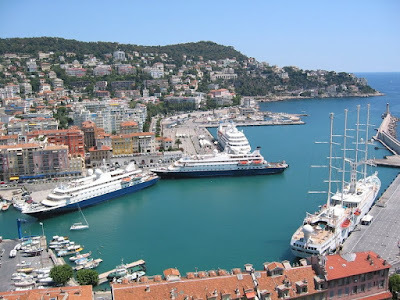 The twin mega motor-cruisers SeaDream I and SeaDream II will sail these five, seven, ten and eleven-day voyages out of Malaga and Barcelona, as well as Nice in France and Lisbon in Portugal, with daily ports of call that are some of Spain's most enticing. It will be at these that SeaDream's guests will have the option of diving into the waters of some of Spain's finest beaches at places like Alicante and Marbella, to explore historic Roman ruins at Cartagena and some of the region's oldest cities such as Cadiz, and shop at luxury boutiques in Barcelona. Prices for all sailings include SeaDream's award-winning 5-star cuisine, premium wines, spirits and other drinks with meals and at the no-charge bars, power and sail water-sports, use of the golf simulator and fitness centre, port charges and taxes, and even staff and crew gratuities. Starting from US$3504pp twin-share for the 5-day sailing from Barcelona to Malaga on October 8 2018, they range up to US$7470pp twin-share for 11-days sailing Nice to Barcelona on July 21 2018.